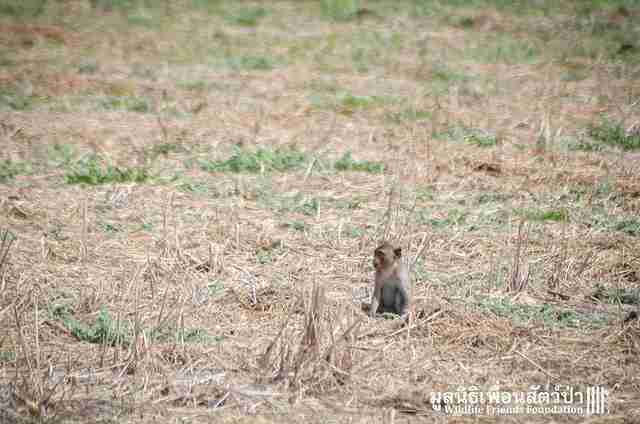 Last week, rescuers feared the worst when they first saw a little monkey who had been attacked by a feral dog - but he proved stronger than anyone expected. 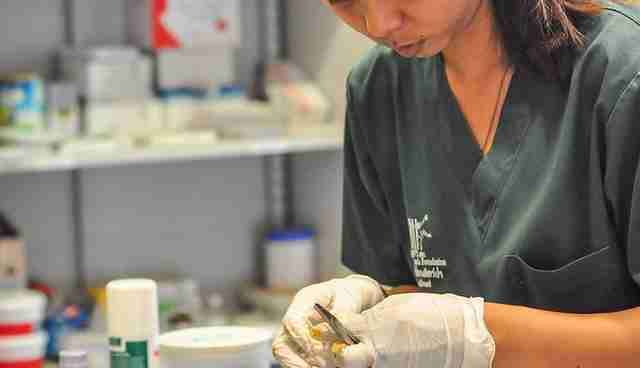 "A few days ago some concerned locals brought a juvenile male long-tailed macaque ... into the WFFT Wildlife Hospital for urgent treatment," Wildlife Friends Foundation Thailand (WFFT) wrote on Facebook on Monday. When he arrived at the hospital, rescuers discovered many puncture wounds on his little body. "He was very weak and unresponsive," WFFT wrote. 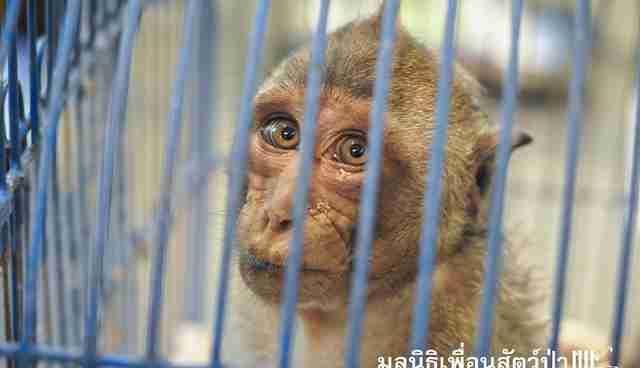 Sadly, this kind of patient in the wildlife hospital isn't rare. 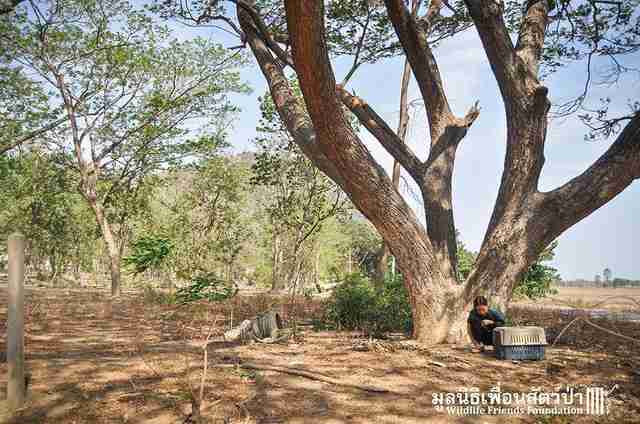 "Attacks on wild animals by feral dogs and cats are very common here in Thailand," WFFT wrote. 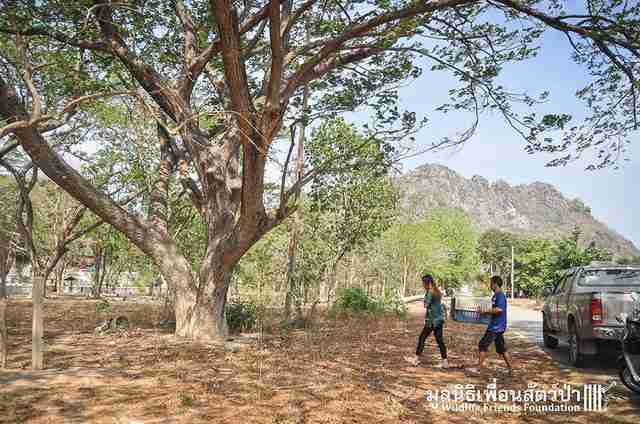 "[T]hey often injure or kill several native wild animals, this can have long term detrimental affect on Thailand's wild animals." 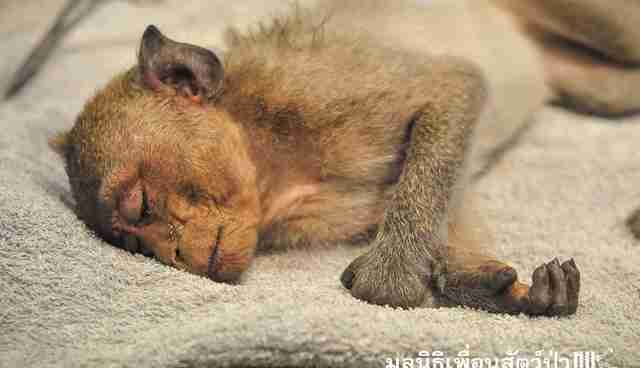 But this monkey would prove to be one of the lucky ones. 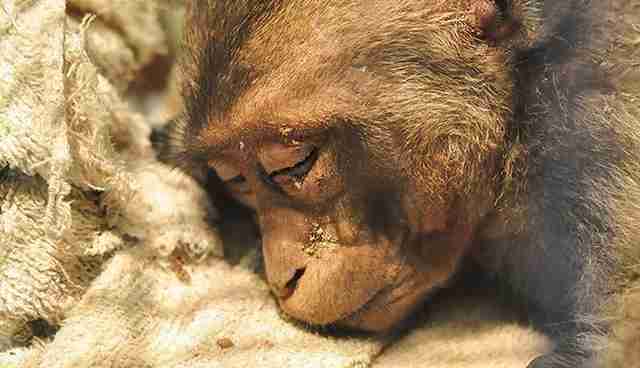 After getting treated for his wounds, and resting up, the previously weak monkey regained the spring in his step. "We saw great improvements," WFFT wrote. "It was decided that returning him to the wild as soon as he was well enough was the best thing for this special little monkey." 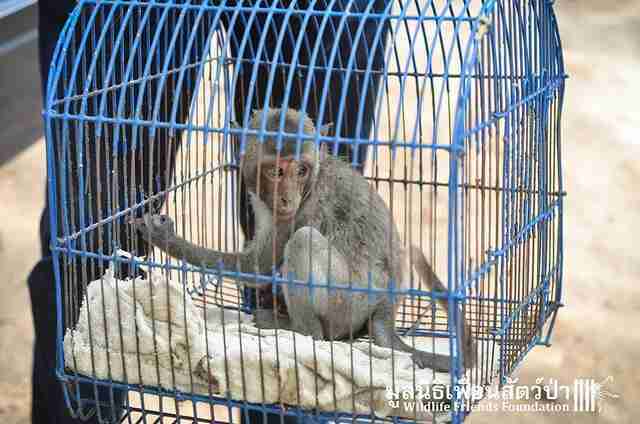 On Sunday, wildlife rescuers brought the little guy back to the forest, where he belongs. When they opened the crate, he bounded out into the woods, long tail held high. "It was a success," WFFT wrote. 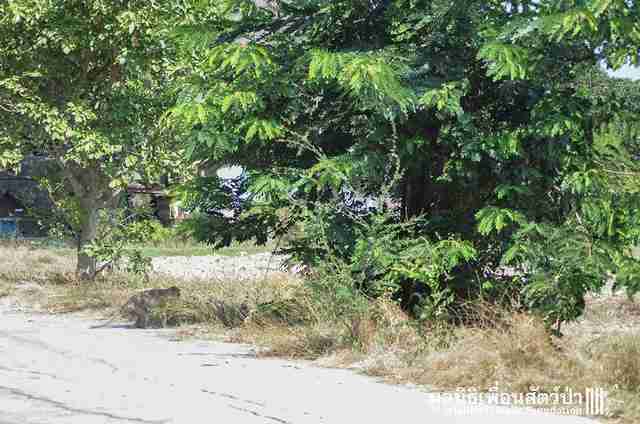 "[T]he little monkey scampered off into the trees." Click here to help WFFT care for animals in need.